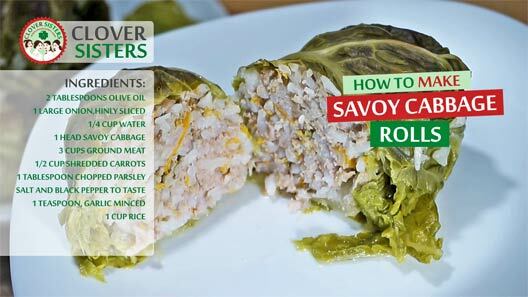 Brilliant recipe, fresh savoy cabbage rolls with meat are nutritious and very healthy meal and savoy cabbage is almost always available in supermarkets. In a mixing bowl, combine the meat, salt, garlic, black pepper, carrots, parsley and rice. Release leaves of savoy cabbage from the core. Bring water with a little salt to boil and cook savoy cabbage leaves in it for about few minutes. In a smaller pot, warm olive oil and add the onion and pinch of salt. Cook onion for about 3 minutes and then add water and let it simmer another 5 minutes. 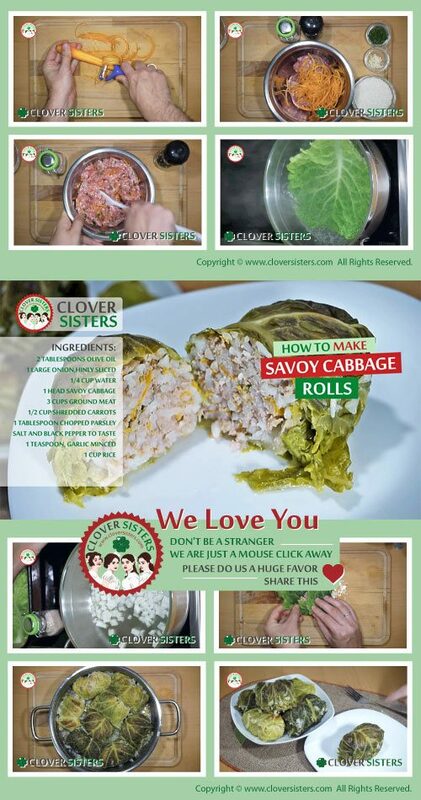 Place some of meat mixture on savoy cabbage leaf and fold and roll up leaf. Repeat it again and again ... Place savoy cabbage rolls in the cooking pot, top with any extra savoy cabbage leaves, pour water into pot and bake for about 50 minutes in oven preheated to 375F or 200C.